Recently Google has announced Google Cast for Education among other updates. This update is exciting for Chromebooks because it offers similar screen mirroring technology that iPads had with Apple TV. 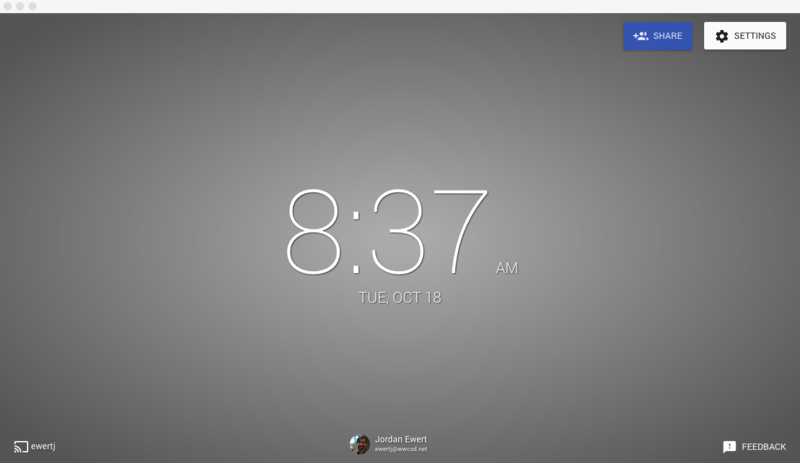 Teachers and students can now share their screen to a computer that’s hooked up to a SmartBoard running the Google Cast for Education App. Because this comes from Google, it’s available for FREE. 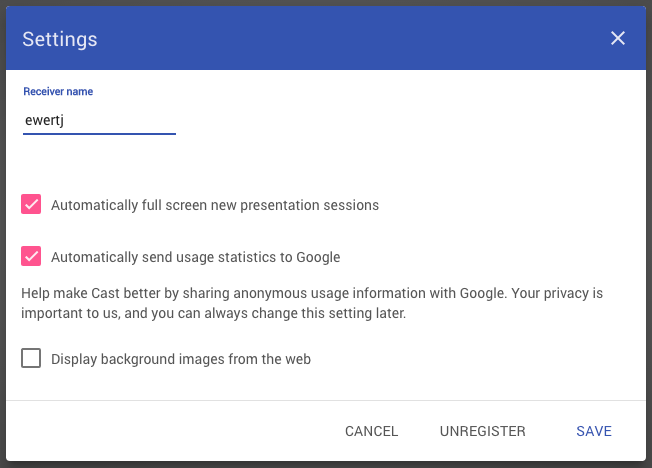 Getting started for teachers is as easy as downloading the Google Cast for Education app which installs in a few seconds and can be launched from clicking your (chrome://apps/) and selecting Google Cast for Education. You should install this lightweight app on the screen you wish to showcase student work to be viewed by everyone else. This could be your teacher PC or the hub attached to your classroom SmartBoard. Once you launch the app you will see a new window appear with a grey background a few options as shown here. 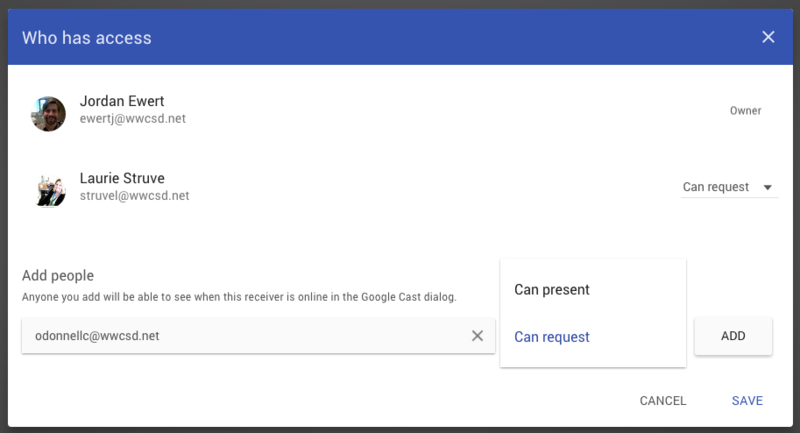 The settings screen allows you to change your receiver name (this name appears for your students when given the option to “cast” their screen) as well as other options as shown. Everything above, besides the name part, is the default settings. If you wish you could allow for background images from the web to show up if your students are trustworthy. Requesting access prompts you, as the presenter, with a dialogue box indicating this person wants to share their screen. When you give someone this permission setting you’ll have to approve them each time before their screen gets shared. When you give a student the right to present you’re allowing them to automatically present their screen without any prompt. This setting may be more useful once you’ve established trust with that student to share their screen. One really cool bonus with Google Cast for Education is the ability to grant your entire Google classroom all at once access to your screen as a device. You can either give everyone “Can Present” status or “Teachers can present, Students can request” permissions with this method. The student only needs to be using the Google Chrome browser to cast their screen. There is nothing additional needed to install! Click the (options) on the Chrome browser —usually very top right of browser. Select the “Cast” option! That’s it!